In contrast to traditional humanistic approaches to studying language, linguistics focuses not on the ideas that are communicated but rather on the linguistic systems that allow this communication to take place. What are the atoms of language, and how do they fit together to form utterances? Why do languages vary in the ways they do, and what accounts for the striking similarities among them? 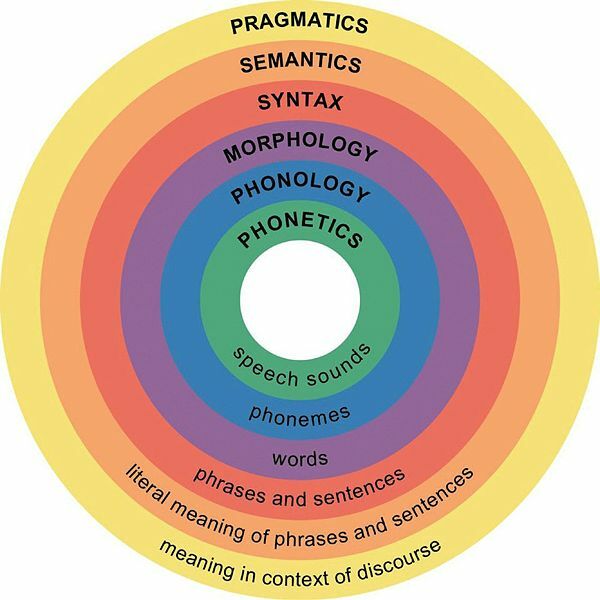 Linguists study these questions from a variety of linguistic perspectives, which include the sounds of language (phonetics and phonology), word-formation processes (morphology), grammar (syntax), and meaning (semantics). The major levels of linguistic structure. Linguistics defines the levels of structure based on analysis across and within languages. The phonological level deals with the structure of the sounds that convey linguistic content in a language. The morphological level of a language is the level at which meaning can be assigned to parts of words and the level that describes how morphemes (the smallest meaning elements of words) are combined to make a word. The syntactic level of structure concerns the structure of the sentence, i.e., the categories of words and the order in which they are assembled to form a grammatical sentence. The semantic level of structure of the sentence is computationally defined to be the level of representation supporting inferencing and other logical operations. Linguists also use their analysis of language to understand how and why languages vary and change, how language evolved in humans, how languages are acquired and can become impaired, and how they reflect societies and cultures.